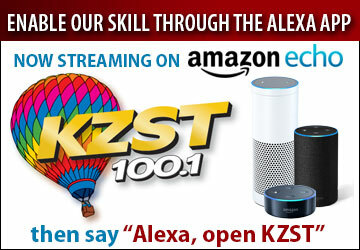 Director of Sales, Patrick Stelzner at(707) 284-9121 or your KZST marketing consultant to determine current grid. Cancellations must be received in writing at least two weeks prior to air date. Prepayment is required for all new advertisers. All rates quoted are NET to the station unless otherwise arranged. For 30-second commercials -Subtract $2.00 from each commercial rate.